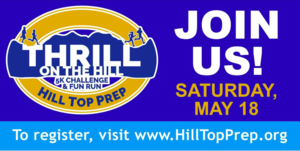 Thrill on The Hill - Register Today! It only takes a minute to register or sponsor this exciting event that supports Hill Top's extraordinary efforts to help students develop the independence and social skills that make them successful in college and beyond. 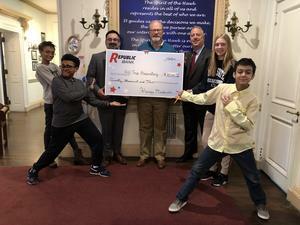 Hill Top is proud to partner with Philadelphia Public Radio station WXPN to help raise awareness for parents of students with learning differences who are struggling in traditional schools. 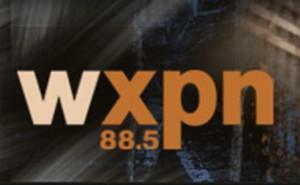 Listen this week for the School's first-ever radio spots on 88.5 FM or www.wxpn.org. Check out this sneak peek of the ad that will air throughout the day over the upcoming week. On February 25, Hill Top mourned the passing of its greatest benefactor, Louise Bristol (Bates). Doodle for Google 2019 Contest Theme is “When I grow up, I hope…” The deadline for this competition is March 18th. Hill Top students are encouraged to participate by contacting Ms. Gulczynski at agulczynski@hilltopprep.org. We are asking Alumni, Parents, Friends and Families to Register Now for a Community Forum at Hill Top Prep! Hill Top Trustee Joe Riddle, Director, Neurodiversity on the Workplace will speak about Preparing for Success in the World of Employment. 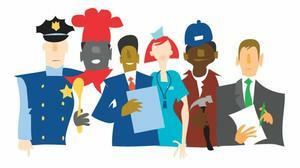 We are proud to announce that Hill Top will be hosting a Career Day on Friday April 5th for our students and we are looking for presenters to share information about their careers. Sign up by March 1st to participate with the form found in this link. 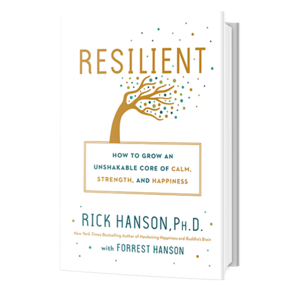 Hill Top’s first All-School Book Read will feature the book Resilient: How to Grow an Unshakable Core of Calm, Strength, and Happiness by Rick Hanson, PhD (2018). Students interested in participating in Tennis, Golf, Outdoors Club or Horseback Riding should click the "Read Full Story" button and complete and return the attached form by March 8th.